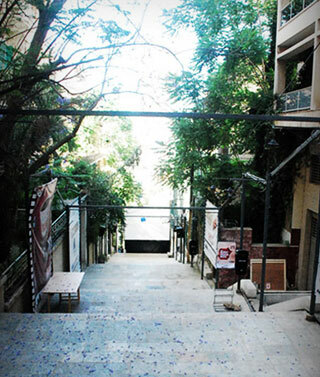 Since its inauguration, the festival has prided itself on creating a unique forum of exchange and dialogue between the public and the filmmaking community through hosting an event that encourages individual talents, brings together artists and filmmakers, champions short films, improves networking between interest groups, and allows the public to interact with filmmakers. Year after year, CFF has demonstrated its commitment to celebrating short film as an independent form of art in a non-competitive public event by presenting local and international films in various guises from archival, to short fiction, to documentary, to animation and video art. Furthermore, the festival has gradually evolved into an event that supports causes, champions human rights, advocates justice and freedom of expression, focuses on the concepts of equal opportunity and sustainability, and keeps up with emerging trends through the adoption of a theme unique each year for screened short films. Today CFF is not merely a short film festival; it is a conduit where talents are encouraged, difference is celebrated, thoughts are expressed, themes such human rights, justice, and equal opportunities are addressed, and where our concerns are voiced in hope of being heard. This year as always, we are committed to constantly bringing you interesting and quality short films.